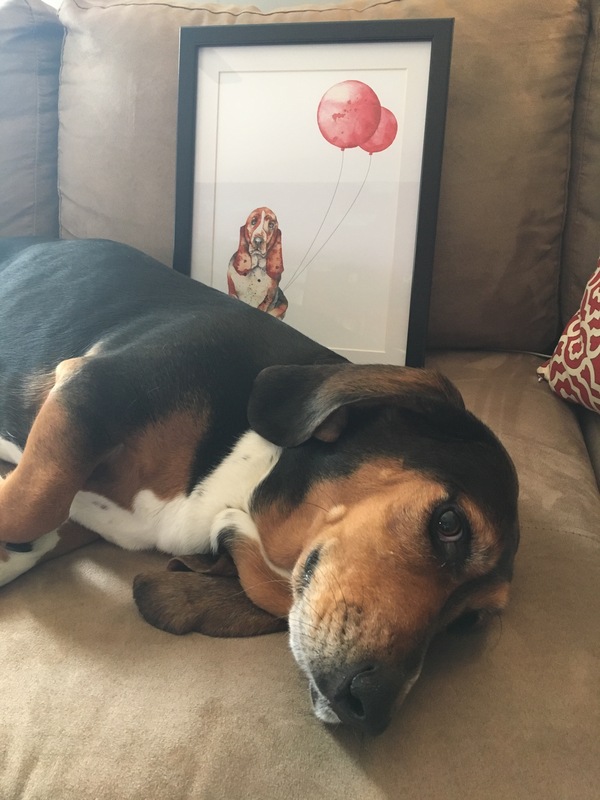 Basset artwork! !🎈 | Live Laugh Bark(at everything)! So this amazing picture arrived in the mail for me yesterday!! Apparently mom found a wonderful artist on instagram that does cards, photos like these, commissioned portraits and more!! I kept a close eye on it all night until I find just the right spot for it!! 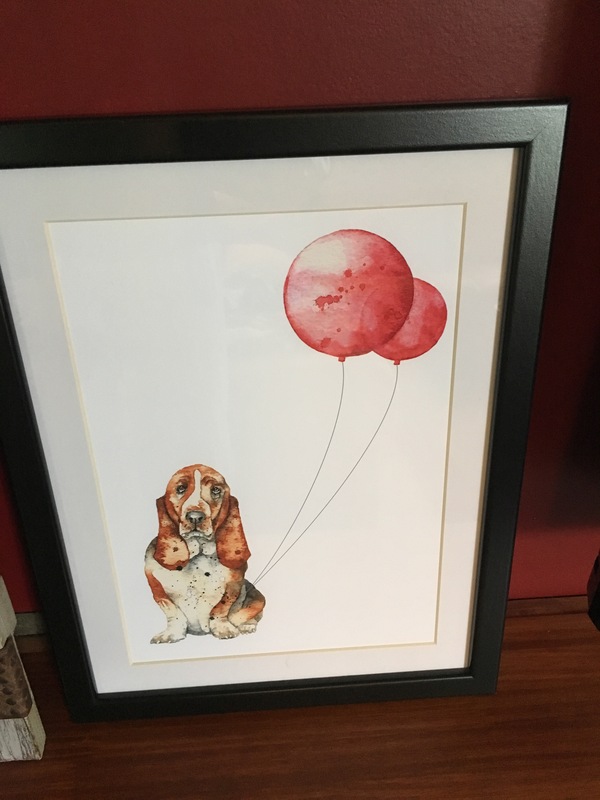 If you love this print as much as we do please visit her sight http://www.dottydogart.co.uk or look them up on instagram or Facebook dottydogart! ← Gardening is tough ..
Steve on Enjoying the outdoors..
livelaughbarkblog on Enjoying the outdoors..
Life is punny. It's funnier than fiction. 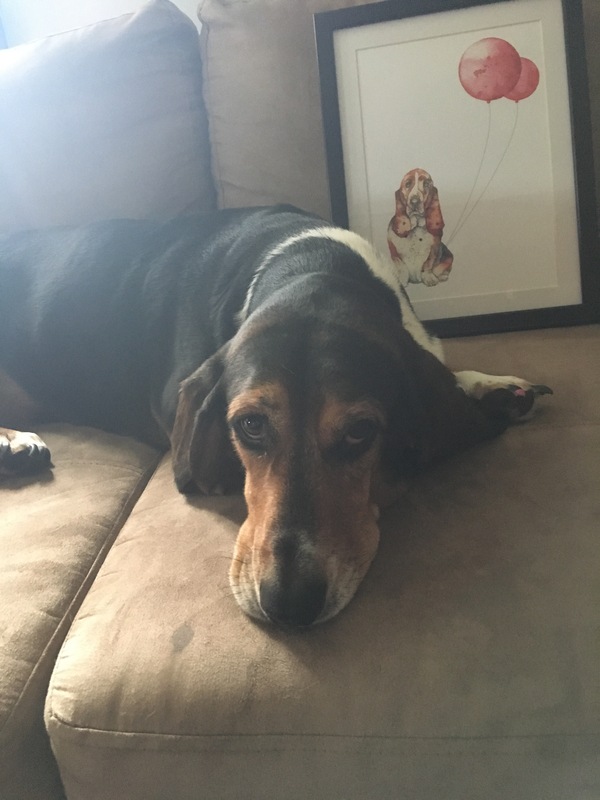 Bassets, dogs, cats, nature, gardening, and interiors. Life with Ray - 75lbs of Attitude in a Fur Coat! Daily Doings Of A Dog Named Dakota, Let The Barking Begin! my life and travels as a vet. Proverbs 12:10 "A righteous man cares for the needs of his animals"